IMEX is a source of inspiration. This afternoon, I sat in a chair made of recycled cardboard at the Corporate Social Responsibility Centre at IMEX, to hear how Frankfurt became a finalist for an award recognizing excellence in creating a sustainable stand. Some of their actions would be familiar to anyone who’s been keeping track of green meeting trends: Frankfurt rented furniture, printed their banners on cloth, and used recyclable carpeting, along with other measures. But I also heard some fresh ideas that not only were sustainable, but played on the popularity of a local specialty: apples and Apfelwein — apple wine. Central to their efforts, literally, was a live apple tree, which sat in the middle of the booth and is scheduled to be replanted after the end of the show. 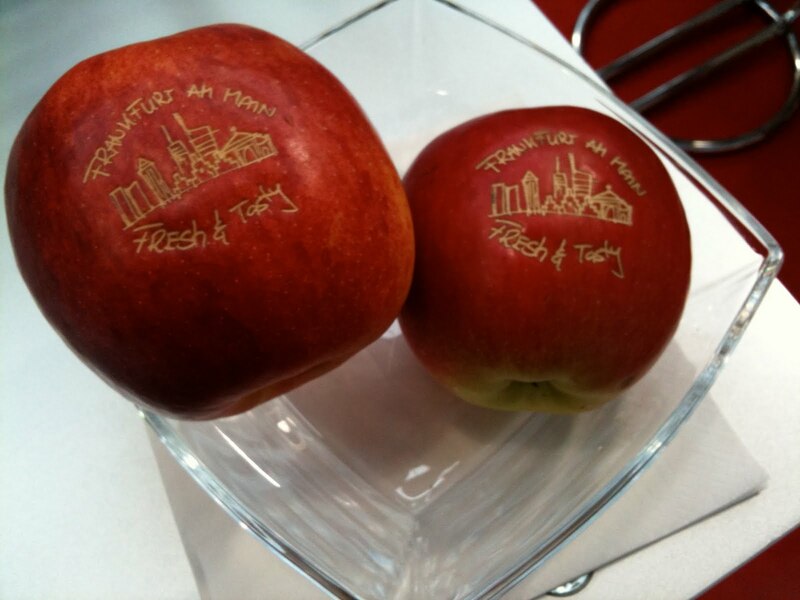 Gifts were fresh red apples, embossed with the city skyline and the slogan that carried the city’s, ahem, core marketing message: Fresh & Tasty.